New research is happening and the issue is, tentatively, being raised. CentreForum released a report in October 2011, “Mastering postgraduate funding”, which was praised by Nick Clegg (I know, I know, something of a duplicitous history on this sort of thing) as “important in promoting social mobility” and he welcomed the findings of the report. Philip Wales’s Ph. D research at LSE, “Access all Areas? 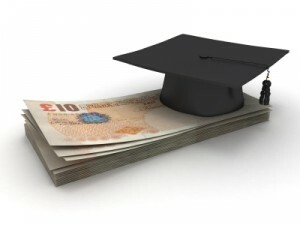 The Impact of Fees and Background on Student Demand for Postgraduate Higher Education in the UK”, was released in March and formed the basis of the statistics above. I was interviewed in May as part of a study at the University of York on access to Ph. D study for aspiring academics. We should care because universities – never really the bastion of social, economic and ethnic diversity – are slipping back, despite the improvements in recent years, towards the kind of exclusivity we associate with Oxbridge colleges. Postgraduate programmes in history, English, film, media, linguistics – unsupported by the PCDL – will soon be, as they will at undergraduate level, available only to the rich, the white, the privately-educated and the male. (Women are already 3% less likely to go on to postgraduate study.) A generation of young people are being priced out of continuing their education, priced out of jobs in academia (hardly the most diverse profession, anyway) and priced out by a generation of predominantly rich, white, privately-educated men, all of whom received free university educations, and who are failing to use their government’s opportunity to make access to education fair for everyone. Until they do, postgraduate study will continue to be the realm only of the rich. The future of academia is going backwards. The valuable research and benefits to society that could be offered by thousands of postgraduate students will be lost for generations.